Sometimes, all you want on a Sunday evening is a big hearty roast. However, more often than not, after an over indulgent Friday and Saturday, I often find myself craving a light healthy meal to round off the weekend. I just love all of the summery vegetables that are available at this time of year, and this Sunday I decided to incorporate some of my favourites into a fresh savoury tart. I have to admit it’s not the easiest pastry recipe I’ve worked with, so maybe start with a simpler recipe if this is your first time making your own! 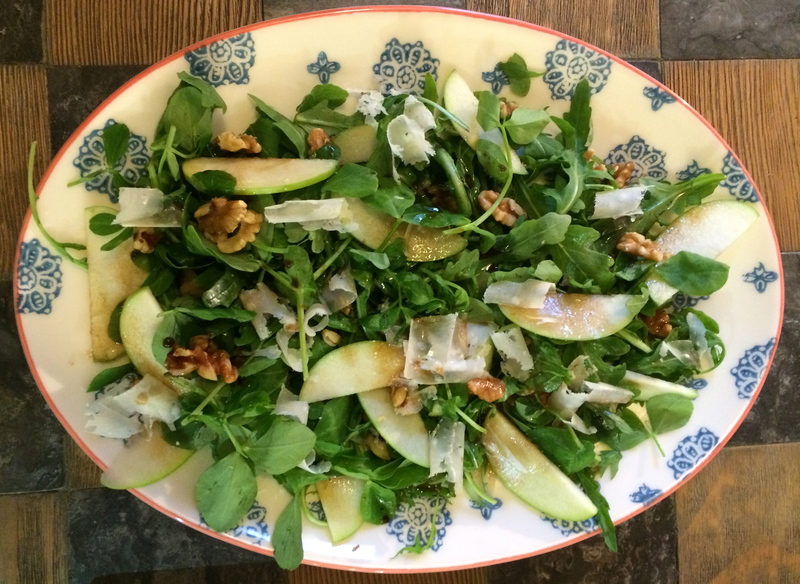 It’s worth the effort though if you fancy stretching yourself, and the addition of the walnuts makes it taste so nutty and wholesome. Start by popping the flour and walnuts in a food processor, and blitzing until the nuts are as fine as the flour. Add the butter and cheese and pulse until the mixture resembles fine bread crumbs. I prefer to bring it together in my hands, so add the egg to the mixture and add about 3 tbsp water before bring it together into a light dough. It shouldn’t be crumbly at all, so add as much water as needed to make a lovely springy dough. Roll into a ball and wrap in cling film, and leave to chill in the fridge for half an hour. Pre-heat the oven to 180 degrees C whilst it is chilling. After 30 minutes, lift the dough out of the fridge and roll it out on a lightly floured surface. About 1/2 cm thick should do it! Carefully lay it in your tin (I used a rectangular one, but you can use a round one if you prefer) and pinch round the edges so that it is all nicely tucked in. Cut off the excess pastry that hangs over the edge, prick the base with a fork a few times and put back in the fridge to chill for a further 15 minutes. After this stage, all that is left to do (I say ‘all’- it’s rather lengthy, I know!) is to blind back the pastry shell. Line it with baking parchment and fill with baking beans if you’re fancy, or if not just grains you’ve got in your cupboard- I just used red lentils! You just need something that will weigh the pastry down to stop it rising at all. Bake for 15 mins with the baking beans, and then remove the parchment and beans and bake for a further 10 minutes. This is then ready to fill with your delicious filling! 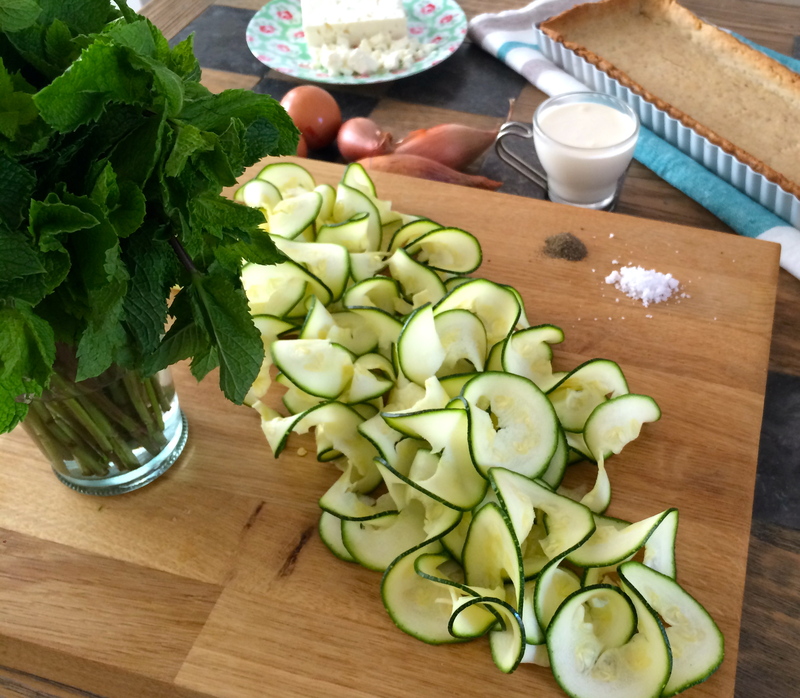 Start by spriralizing the courgette. I used the ribbon setting, to make lovely big curls. 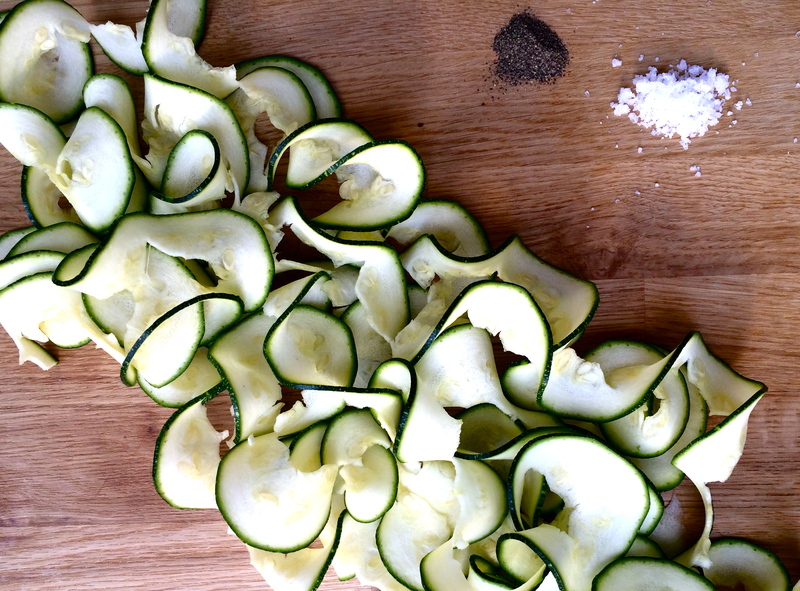 If you don’t have a spiralizer that’s not a problem- just use a vegetable peeler and peel the courgette lengthways making big long strips. Finely chop the shallots, and fry them off in a little olive oil slowly, until they start to caramelise. 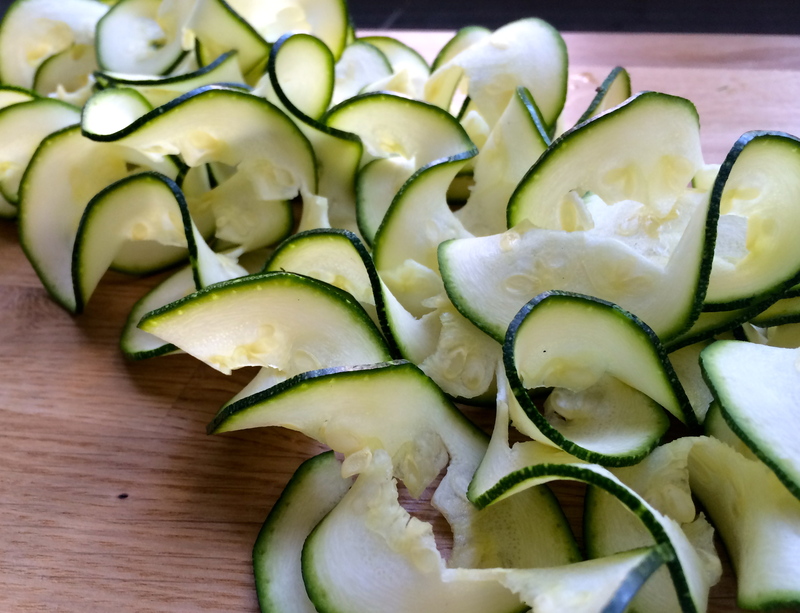 Sprinkle these onto the bottom of your tart tin first, and then carefully place the big long curls of courgette down the length of the tin. Scatter over the crumbled feta, peas and some chopped mint leaves. In a cup whisk the eggs and cream until combined, season a little (not too much because the feta is salty) and add some finely chopped mint leaves. Then pour this into the tart case evenly, until it covers all of the vegetables. Pop into the oven for about 20 minutes until the egg mixture is cooked, and the top has gone lovely and golden brown. Slice up the tart and serve! 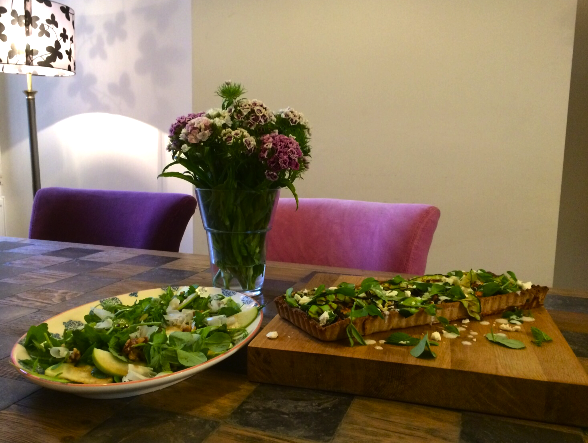 I know it sounds like a lot of effort, but it really is worth it for a delicious healthy meal that looks lovely too! I actually made mine the day before, as it keeps well in the fridge. It’s such a versatile recipe as you can put whatever vegetables you like inside! Give it a go if you’re feeling adventurous- I’m sure it would go down a treat at a picnic too!